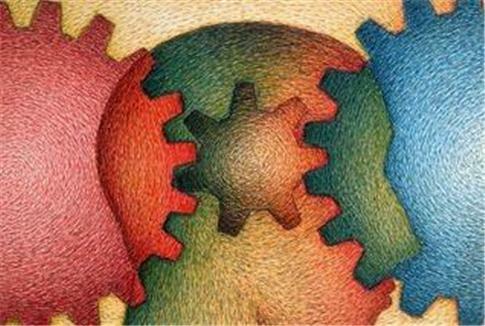 Industrial-Organizational (IO) Psychology is a thriving new subfield of psychology. It concerns the achievement and wellbeing of workplaces and other organizational systems. This includes the success and efficiency of operations, as well as the relationships and experiences of the people working in them. Here are five industrial-organizational psychology scholarships available to assist future professionals in their academic endeavors. Online Psychology Degrees is a site dedicated specifically to helping students who are pursuing psychology degrees online. This is a cutting edge path towards academic achievement, and industrial-organizational psychology is a cutting-edge subfield. IO Students are therefore excellent candidates for this award. Eligible applicants are any current or future online psychology students who can demonstrate a drive and commitment to academic excellence and to changing the world through their chosen field. The award totals $1000. The Centennial Mental Health Center aims to include non-traditional students in the completion of college degrees and the achievement of rewarding careers in psychology. Since industrial-organizational psychology is a non-traditional path, IO psychology students should definitely apply. Eligible applicants must demonstrate academic achievement and participation in community service. They must also complete an essay and submit letters of recommendation. The annual awards vary in amount from $500 to $2000. Most of the industrial-organizational specific psychology coursework happens at the graduate level. Furthermore, most careers in IO psychology require a graduate degree. The Society for Industrial and Organizational Psychology (SIOP) has therefore established the following three graduate awards. These scholarships are designed to award students for their contributions to the field through research and application. These general SIOP Graduate Student Scholarships are intended to assist graduate students with all costs associated with completing their doctoral dissertations. Recipients are chosen based on academic achievement level. The top student will receive the Lee Hakel Graduate Student Scholarship, which totals $3500. The second place student will receive the Mary L. Tenopyr Scholarship, which totals $3000. These awards include special honors recognition. Two additional students will each receive $3000. Students who are specializing in either training and development or selection and placement are invited to apply for the Leslie W. Joyce and Paul W. Thayer Graduate Fellowship in I-O Psychology. The annual award totals $10,000, and successful recipients are invited to apply for a second year. They must be able to clearly describe career goals and how they will meaningfully contribute to the field. SIOP recognizes the unique academic obstacles faced by minority students. The Goldstein & Schneider Scholarships by the Macy Fund are awarded to graduate students of industrial-organizational psychology whose ethnic background is Native American/Alaskan Native, Asian/Pacific American, African/Caribbean American, and Latino/Hispanic American. One award of $3000 is granted annually. Progress takes hard work and dedication. Industrial-organizational psychology students are committed to the progress of the field of psychology by embarking on a novel academic and career path. These five Industrial-Organizational Psychology scholarships will help make that goal a reality.